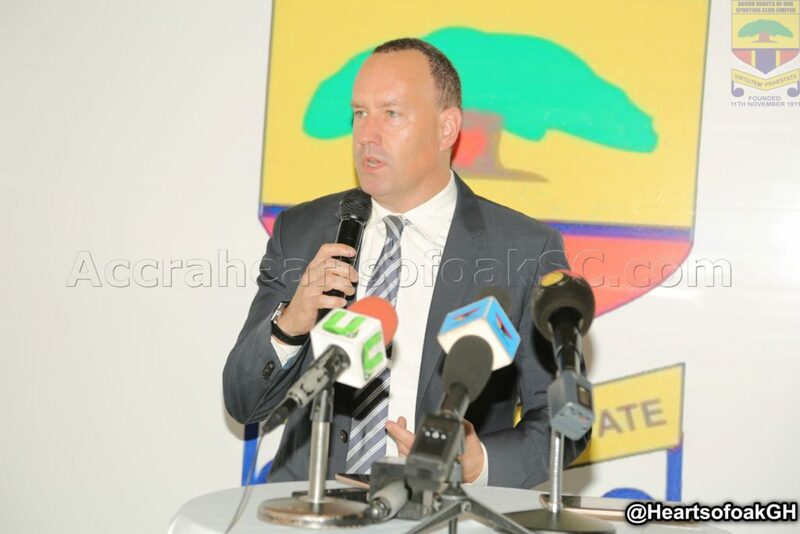 Chief Executive Officer of Hearts of Oak Mark Noonan has disclosed that he is only 10% done with transforming the club. Noonan was tasked to use his vast knowledge in Marketing to change the face of the Accra-based giants following his appointment earlier this year. The Global Chief Commercial Officer for the World Surf League has made significant strides since his appointment after fast-tracking development at the side's Pobiman training complex where the team currently trains. Noonan secured a mouth-watering apparel sponsorship deal with English sportswear giants Umbro last week. "I am only 10% done with how I want to transform the club, if you look at the plans we have for the next 3-4 years we are nowhere close to completion, " he disclosed in an interview on Agoo TV. Last Thursday, Noonan finalized a three-year deal with Kim Grant as head coach and technical director of the club.